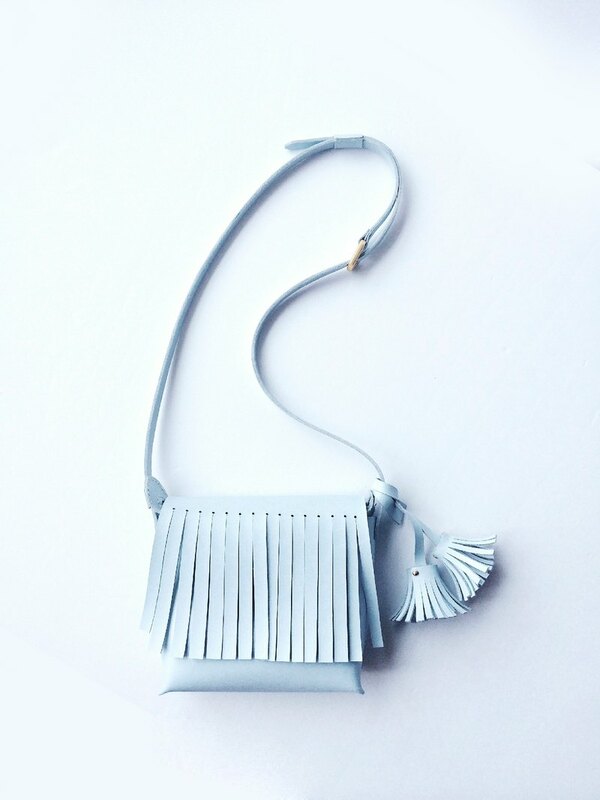 Zemoneni leather casual Shoulder bag with tassels. material : 100% cowhide leather Color: Light blue Adjustable strap in 120-125cm length. size : 15 (w) x 14 (h) x 6 (d) cm.